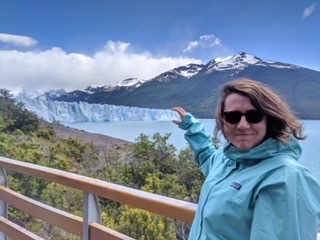 In today’s geoadvent blog post, GSL Policy Officer Flo Bullough reports from a glacier! Perito Moreno Glacier. The head of the glacier is up to 70m tall and it makes a thundering noise when ice calves (falls) off the front. I’ve turned roving reporter for this year’s advent calendar and will be reporting on some of the geological features of Argentina and Chile! 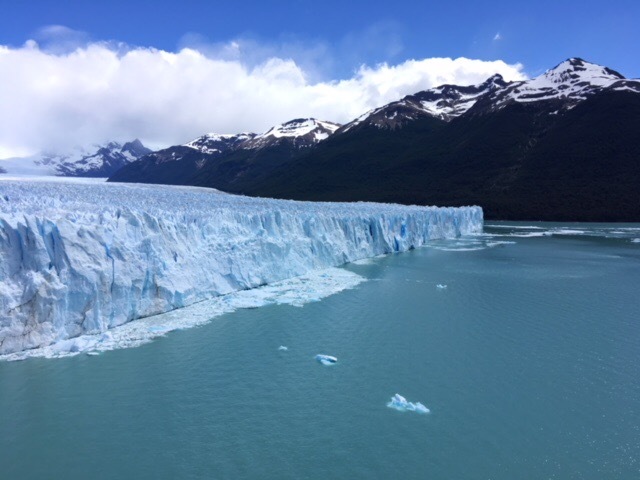 I spent one day in early December at the incredible Perito Moreno glacier in Los Glaciares National Park. 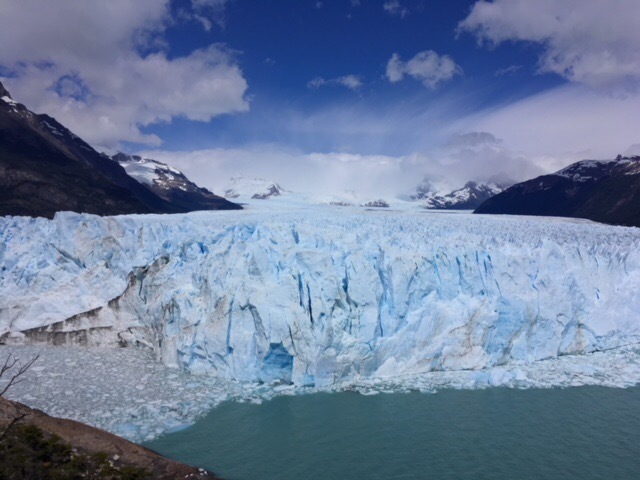 The glacier sits in a UNESCO World Heritage Site right in the very south of Argentinian Patagonia and is part of a suite of glaciers fed by the South Patagonian Ice Field. The ice field is an extensive relict of the glaciological processes from the Quaternary period and is very important for climate change research. 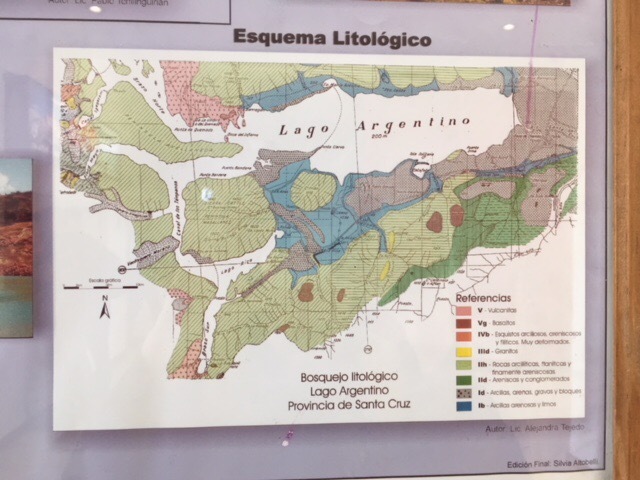 Geological map of the area around Lago Argentina. The rocks in the area of the glacier (to the west of the map) are all fine sandstones and sediments. The site sits within the utterly beautiful remote Patagonian Andes which is more broadly known for its granite peaks and ridges that have been heavily shaped by glacial processes. The ice regularly ruptures with large pieces falling into the glacial lake. It’s pretty tiny really, I don’t know what all the fuss is about. Well done to those who have correctly guessed the plate tectonic stories associated with our advent windows so far! Yesterday’s window was, of course, the beautiful Cwm Idwal. And since we neglected to mention it yesterday, door 7 was The Lizard in Cornwall!